With heatwaves sweeping most of the European countries these last weeks, and summer showing all its exuberance, we take the opportunity to introduce you to 10 European startups that are changing the face of travel in 2018. The hottest hubs for innovation Europe’s travel industry are now Amsterdam, Paris, Berlin, Barcelona and London. We can observe trends in chatbots, services integration like expenses invoicing and tracking, niche and business travel, besides automated search and purchasing apps through instant messaging platforms. HotelChamp was founded in Amsterdam in 2015 and offers a suite of conversion tools powered by AI and machine learning that boosts direct revenue of hotels and helps them build guest relations. Founders Kasper Middelkoop and Kristian Valk say that the service enhances guest engagement and delivers a personalized booking experience, while promoting a more sustainable future in which hotels have more control and are less dependent on third parties. The Amsterdam-based startup supports more than 1,000 hotels in more than 40 countries and it has grown in two years to a team of more than 50 employees. It built a portfolio that includes Millennium Hotel Group, The Athenaeum in London and Hotel Palazzo Versace in Dubai among others, having raised over €4 million in funding so far. TravelPerk: Launched in 2015, Barcelona-based TravelPerk allows individuals and companies to book and manage business travel. “If you’re stuck in Berlin with all flights cancelled, we’ll find a flight to bring you back home,” says co-founder Avi Meir – who sold his previous startup Hotel Ninjas to Booking.com. Javier Suarez and Ron Levin complete the founders team. 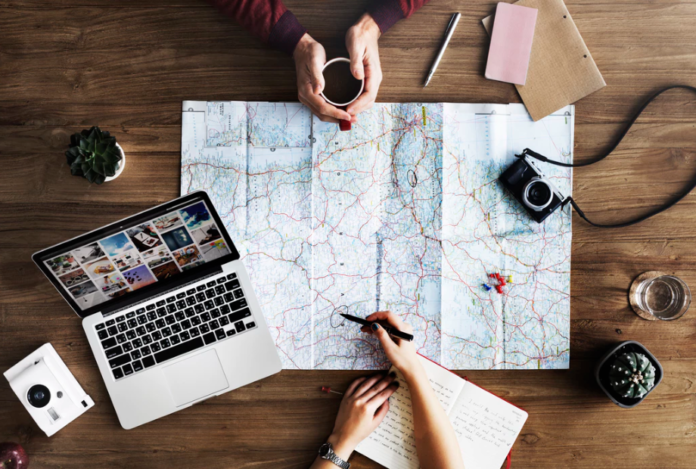 Among TravelPerk’s top features, it has tools such as centralized invoicing, simplified itinerary emails and expenses integration to deliver a one-stop shop service to users. The fast-growing travel startup has raised $30 million to date and they won the Scale Startup Competition at the TNW Conference in Amsterdam in May 2017. Flio: Founded in Q4 of 2014 by serial entrepreneur Stephan Uhrenbacher, FLIO set out to make the most out of the time you spend at airports. FLIO is free and shows you live flight info, gives you insider tips, connects you to Wi-Fi, shows you maps of each airport, lets you pin your flights on a globe so you can keep track of where you’ve been, and more. You can share your tips and advice, too. So far, the Hamburg-based startup has raised a smaller seed funding round and took part in the London-based Founders Factory of Lastminute founder and investor Brent Hoberman. Medigo was founded in by Pawel Cebula, Ieva Soblickaite and Ugur Samut 2014, in Berlin, with the goal to act as an online search and engagement platform, connecting patients and doctors globally. The medical tourism startup aims to disrupt the healthcare industry by helping patients to target high-quality clinics, and doctors, and also possibly have shorter waiting times and more affordable treatments than in their home country. The service counts with over 900 top internationally accredited hospitals and thousands of expert doctors in more than 30 countries. The company has raised $11.83 million to date. The platform is completely free-to-use and is currently available in 5 languages: English, German, Spanish, Italian, and French. Comtravo: In our research, Berlin has emerged together with Amsterdam and Barcelona as the European powerhouses for travel innovation and top German startups include Comtravo. 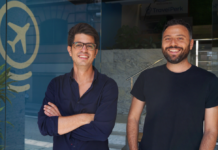 Founded in Berlin in 2015 by Jannik Neumann, Michael Riegel and Simon Schmincke, the young company offers a platform that uses natural language processing and AI technology and human travel experts to offer quick business travel booking via email, SMS, Skype or its self-booking platform. Comtravo has raised €8.5 million in funding so far, from investors like Howzat Partners, Monkfish Equity, Creandum and Project A.
Bidroom was founded in Amsterdam in 2014 by Casper Knieriem and Michael Ros. The startup has a simple and powerful idea of charging hotels no commissions after a one time €149 fee. Instead, it charges travelers a yearly membership fee of €59 for full access. Other reservation platforms can take up to 30% of the booking rates, being a nightmare for independent hotels and small chains alike. VISA, the credit card issuer, noticed the disruption in this model and approached Bidroom, marketing the platform to its clients in Europe. 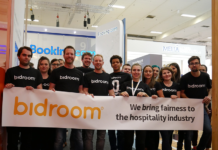 Bidroom has raised about €6 million so far, from investors like the Egyptian multi-millionaire Samih Swairis. Destygo differentiates from the crowd of chatbot suppliers by creating a conversational AI platform specialized in the travel industry. Think of Destygo as the “chatbots for travel people”. 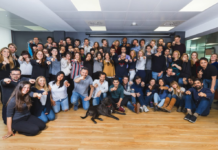 Founded in 2016, the Paris-based travel startup is a graduate of International Airlines Group (IAG)’s Hangar 51 accelerator — and it already builds chat- and voice-assistants for companies, such as Iberia Airlines. Destygo has raised €1 million so far from investors like Partech Ventures and AccorHotels. CorreYvuela is a Barcelona-based travel chatbot startup that allows users to book flights with only three messages on WhatsApp, Messenger, Telegram or even SMS. From your smartphone, you can plan a trip and the chatbot will provide you with the best itinerary option and a safe link where you can pay for your flight online. It was founded in 2016 by Juan Prim and Carlos Nunes, and it has raised about €775K till date. CorreYvuela is an alternative to the user who buys flights on Internet, as it offers the best flight option in a fast and convenient way, through instant messaging and SMS. Holidu: Founded in 2014 in Munich by Johannes Siebers and Michael Siebers, Holidu helps you find the best holiday vacation rental accommodations from all of the leading travel websites. The Holidu website and app compares prices and user reviews, ranking the vacation rental options accordingly. 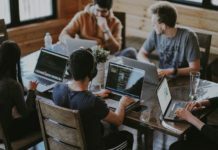 The Munich-based company, which also took part in the pitch competition of the very first EU-Startups Conference in 2014, has so far raised about $6,4 million in venture capital, with mentors and investors who helped Booking.com, Spotify and Zalando expand globally. Snaptrip: Headquartered in London, Snaptrip aims to make it as easy as possible to find the right holiday at the right price in Ireland and United Kingdom cottages, with discounts of up to 50%. Snaptrip was founded in 2014 by Dan Harrison and Matthew Fox, and it aims to become the UK’s leading site for last-minute breaks in self-catered holiday properties. The travel startup has already raised a total of $8.2 million. 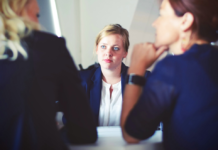 Next articleStartup Jobs of the Week: Join Penta, nello, Zify or nevaly. Apply now!